Has there been a western that hasn’t been influenced by the work of Ennio Morricone? I doubt it. In that case its not surprising that much of this soundtrack is reminiscent of his work in certain ways – its like trying to write fantasy without somehow invoking Tolkein. Some things are just archetypes. This soundtrack does a great job using that archetype to develop a great score, complete with whistling, shouts, twangy guitars that give you the feel of a deserted main street in a dusty old shanty town… etc. There’s a lot of variety here, and each track is pretty solid. 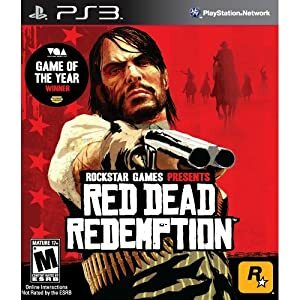 I highly recommend this for any game that you might want to give that old west feel to. The last four tracks are by various artists, and remind me of the types of “real songs” with an old west feel (as opposed to western soundtrack music) that the Deadwood soundtrack features.